The Beveled Inboard Brake systems are 15" forged billet carriers that feature a floating 420 stainless disc and an 8-Piston Caliper for over-the-top braking performance. These forged carrier are also am integrated wheel hub and bearing for clean installation. Meticulously machined from forged billet aluminum. Featuring accent cuts on every angle of the carrier. 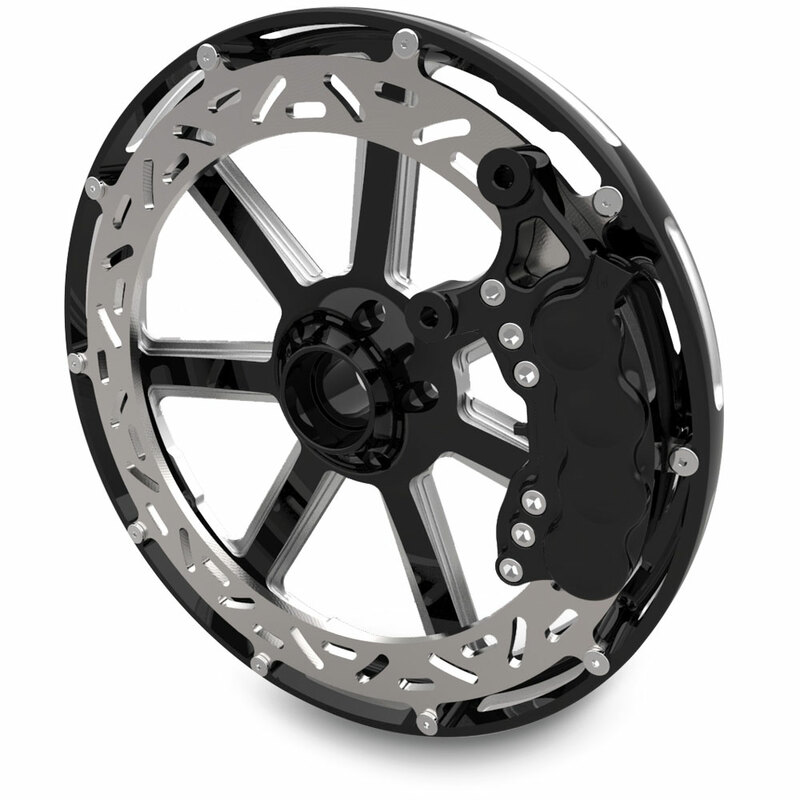 Ness designed 8-Piston Caliper to bolt directly on your fork leg on 2000-up FLT touring and 2000-up Softail™ models. Designed to covert dual disc FLT touring models to a clean single disc application. Each kit includes: inboard brake carrier/hub assembly, floating disc and 8-Piston Caliper. Custom axle spacer may be required for your custom application. Designed to work on 16" and larger Arlen Ness front wheels. The kit replaces one of the hubs and will not work with single piece wheels. Will not fit on factory wheels.